The last event of the holiday season was, for the supporters of Nollaig na mBan NY, one of the most meaningful. 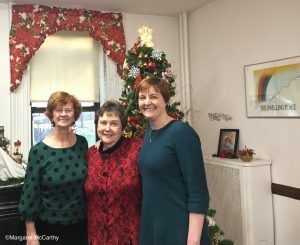 On Sunday, Jan. 6, with women in Ireland and the U.S. observing Women’s Christmas, we were special guests at the Dwelling Place of New York, a women’s shelter in midtown Manhattan. 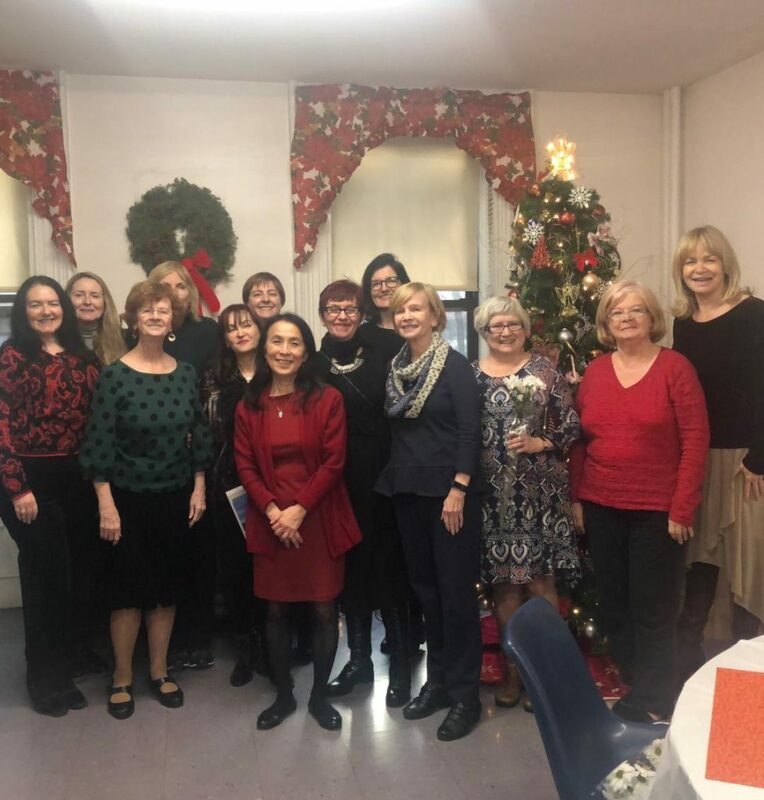 A few years back, Maura Mulligan invited a group of women to a Women’s Christmas, following the Irish tradition of women gathering and relaxing after the holiday activity. We talked about our wishes for the coming year, applauded each other’s successes and encouraged each other in our challenges. Acknowledging that many people had worse problems than ours, the group had the idea to adopt a charity that specifically helped women, and so Nollaig na mBan NY was created. found the perfect fit with the Dwelling Place of New York, a transitional residence which has been helping homeless women for more than 40 years. The Dwelling Place provides food, shelter and comprehensive support services to help its residents find permanent housing and employment. Under Maura’s direction, Nollaig na mBan NY has raised several thousand dollars in three years by holding creative events around the major Celtic holiday festivals. 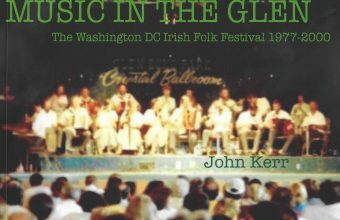 Volunteers, some professionals, all talented, offer music, dance, poetry, drama at the fund-raisers. The Dwelling Place’s director, Sr. Joann Sambs, CSA, has become a friend to all and gracious participant in our events. \From left, Maura Mulligan of Nollaig na mBan NY, Dwelling Place of New York Director Sr. Joann Sambs, CSA, and Deputy Consul General Eimear Friel. members and supporters. Sr. Joann and Sr. Nancy Chiarello, OSF, one of the shelter’s founders, invited us to a lunch party at the home. 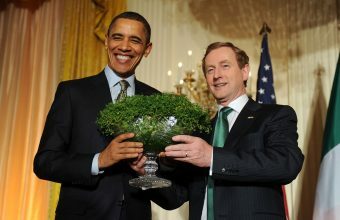 We were honored to have Eimear Friel among the 20 guests. In shadow of the Port Authority on West 40th Street, the Dwelling Place houses 15 women and a small staff. The four-story building, a former convent, was immaculate, warm and with its creative Christmas decorations, a welcoming place for its residents. The women who live there are out during the daytime, so we did not interact with them at this time. staff and residents, we got down to the Nollaig tradition of sharing hopes, dreams, and struggles as well as poems, prose, laughter and perhaps a tear or two. 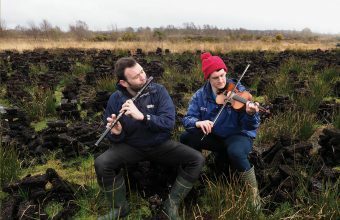 Naturally, there was music — Bernadette Fee brought her fiddle, Eimear Friel her tin whistle. Sr. Joann offered her gratitude to Nollaig na mBan NY and a blessing for the New Year. For us, it was a blessing to be in this house that offered solace to so many women over the years and to contribute in a small way to its mission. To learn, more please go to https://thedwellingplaceofny.org.